"China has tested its most powerful non-nuclear bomb, according to a state-run media, which nicknamed it "the Chinese version of 'the mother of all bombs'", in reference to an American missile dropped in Afghanistan in 2017. It has been dropped by a HK-6k heavy bomber. Norinco has posted on its website a video that shows for a few seconds the dropping of a bomb. It crashes on a meadow, before producing a gigantic fireball and a plume of black smoke. On social networks, the official news agency Xinhua described the bomb, presented for the first time, as "the Chinese version of 'the mother of all bombs'". It has been dropped by a H-6K, equivalent to the Russian Tupolev Tu-16…." I googled for the video but it wasn't very interesting. So they dropped the bomb, which is their version of an American design, from their bomber, which is their version of a Russian design… I'm picking up a common theme here. 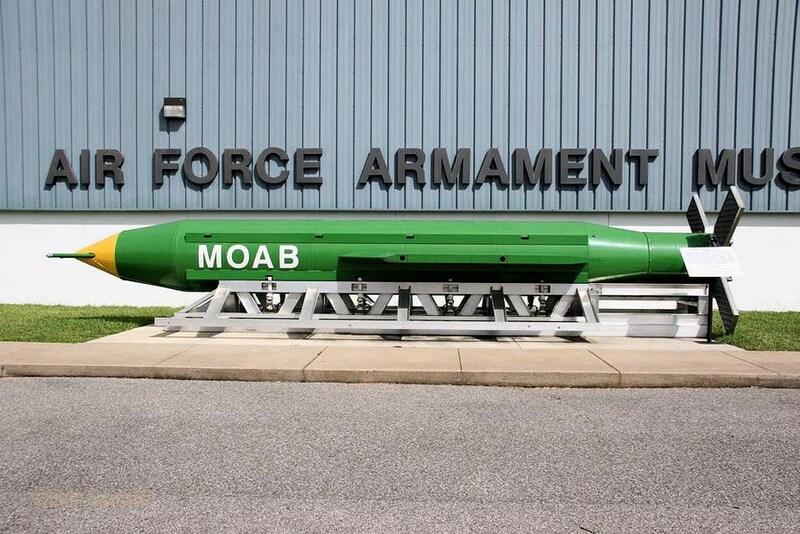 So they tested their own MOAB. Woo hoo. BFD. Well, they did invent printing and everyone copied that. There would be no modern age without it.